Reviews of Pregnant Fish Theatre - Who put Bella in the Wych Elm? 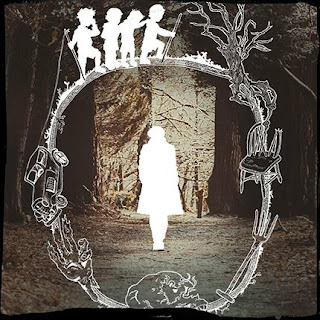 An intriguing production of the Bella in the Wych Elm story was performed on stage at The Space in London, March 13-13, 2018. The production didn't have a traditional script based on dialogue, but rather was narrated by the cast using original archival and published sources. It sounds like a really intriguing way of doing theatre, mimicking, in some ways, the true-crime shows that have proliferated on television. I'm hoping to get a video of the production at some point, but I thought I'd list a few review links. Most reviewers acknowledge that the piece was exquisitely well-researched but suggest that trying to cram all that information into 60 minutes, might have been a bit ambitious. London Theatre 1 - "What is particularly impressive here is how different elements of the production come together." The Upcoming - "The movements the cast create are arresting, but not enough to completely pull the whole act together seamlessly; there are highlights as with most productions, but the biggest contributing factor that lets this down is the verbosity of the script." 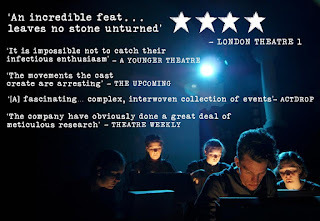 A Younger Theatre - "With the cast all donning similar navy overalls, the attention is not on any flamboyant showmanship but is instead on the evidence itself." 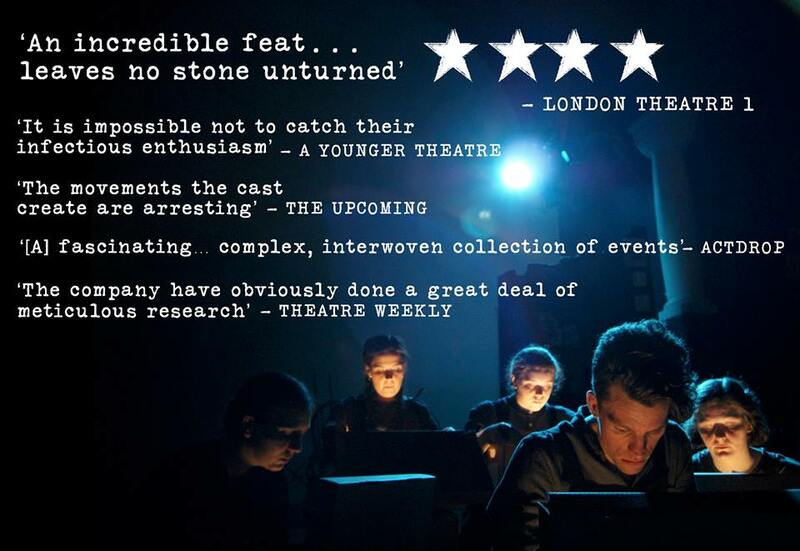 Act Drop - "The central case is fascinating and more than worthy of dramatising - it certainly seemed to keep the audience 'hooked' throughout." View from the Cheap Seat - "Although it doesn’t advertise itself as such, it’s an example of ‘verbatim’ theatre – every word spoken is drawn from existing texts about the case, from police files to newspaper reports, books to personal letters"
West End Wilma - "Cramming all of the evidence into the available sixty minutes is no mean feat, especially so as at least ten minutes are dedicated to telling the story of Josef Jakobs, the last man executed – by firing squad – at the Tower of London." Theatre Weekly - "There’s definite potential in the concept of a staged documentary, and the detailed research in Who Put Bella in the Wych Elm? means that it’s compelling enough to keep the audience’s attention, although aspects of the presentation need some work to help guide the audience through this complex case." I'm actually kind of surprised at the number of reviewers who had never heard of the Bella case. In that respect, the production has done a good job of bringing the story to the realm of theatre. And 10 minutes of the production were dedicated to Josef Jakobs, in part because his mistress, Clara Bauerle, is considered, by some, to be Victim Suspect #1. As noted elsewhere on my blog, Clara Bauerle passed away 16 December 1942 in Berlin of veronal poisoning.